A unique workplace design in response to an iconic modern building. PPB were located on non-contiguous floors in the MLC Centre in Sydney. 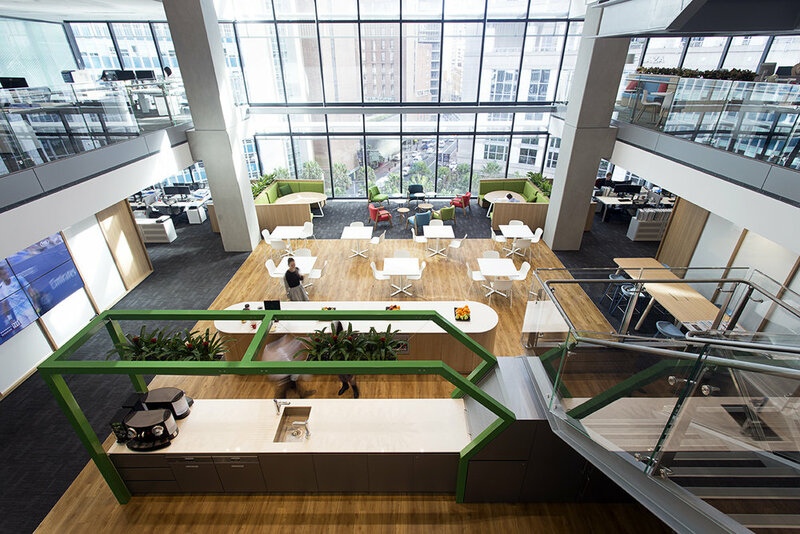 PPB chose to relocate to the Richard Rogers designed 8 Chifley Square building. PPB committed to one of the 3 floor “Sky-villages” in the building and realised that the unique space required a unique solution to release the potential it offered. The 8 Chifley square building provides a unique architectural response to the constraints of a small site footprint at a key location in the Sydney CBD. London based architects Rogers Stirk Harbour developed a side core building that groups floors around atriums – enhancing connectivity. This connectivity was critical to PPB as their existing premises had a small centre core floor plate that divided the business into small groups. PPB’s key objectives for the project were to provide a transparent workplace that promoted collaboration and enabled their clients greater access to the business to reinforce the mantra that “we work with you”.The commercial design solution developed by FutureSpace positions the reduced number of offices away from the central atrium and allows visual connectivity between people in open plan areas. 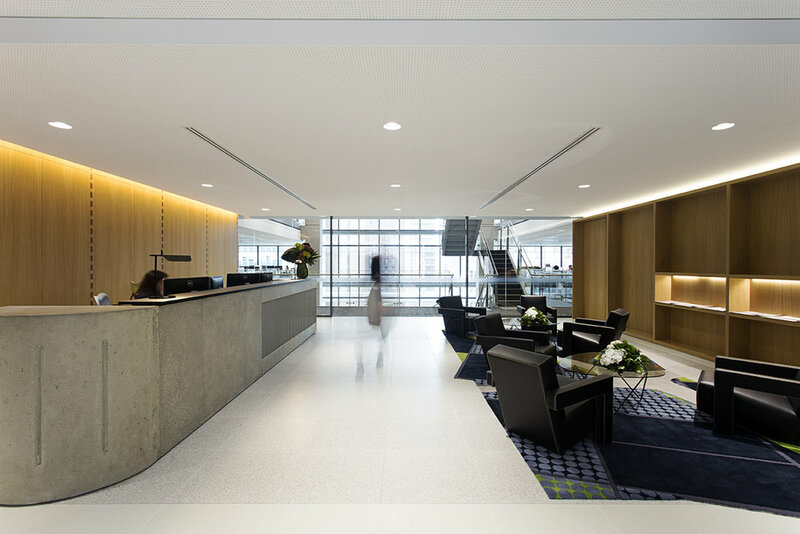 The client entry, reception and boardroom are positioned on the middle of the 3 floors with a clear view for visitors into the heart of the business. 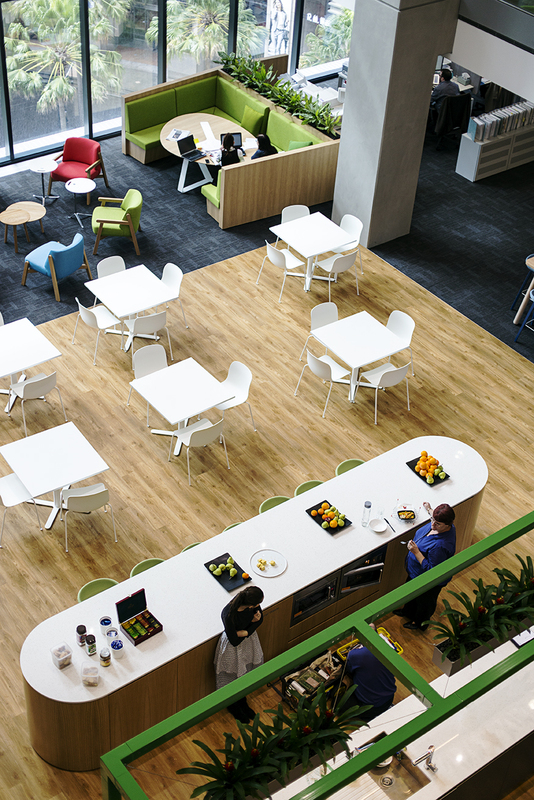 The central atrium space is designed as a collaborative team space with a number of different work settings that support different ways of working. 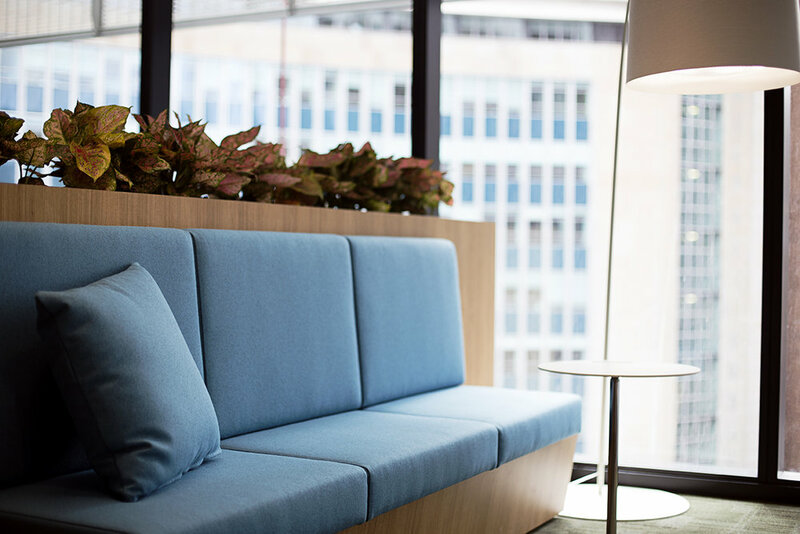 The new workplace drastically reduces the amount of onsite paper and positions PPB to be able to adopt more agile work practices in the future.